Did you know chasing Reese. was originally a screenplay I wrote back in 2013 titled SAFELIGHT? A few friends read it and begged me to turn it into a novel, thus chasing Reese. was born. In SAFELIGHT, Jackson Reese had a minor role, but as I started rewriting, his character took over. Jax is still a secondary character but his role is huge in the story and he holds the key to many things. And the truth is, he is my favorite character of all. 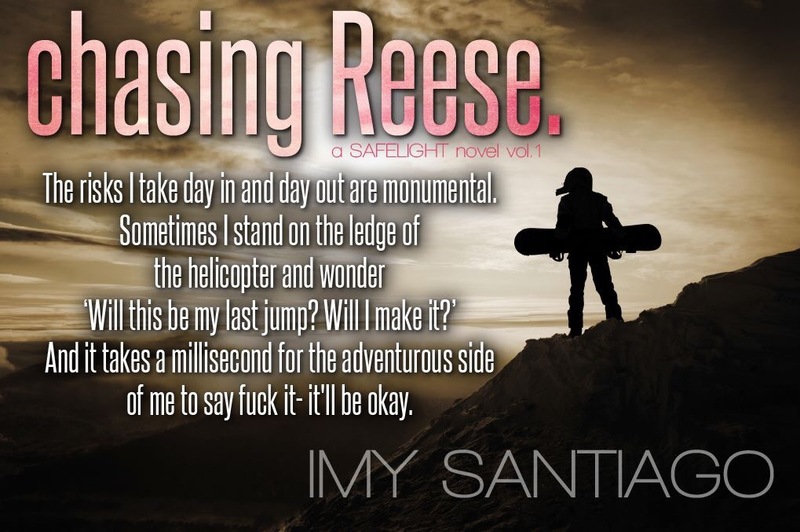 I can’t wait for you to read chasing Reese. set to release on January 5, 2015.